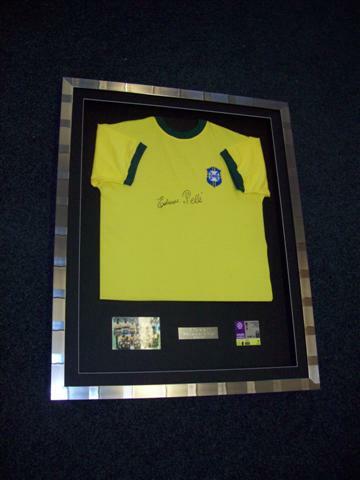 Our standard price for framing your shirt is just £109.00 which is superb value, considering the processes involved in framing your shirt. 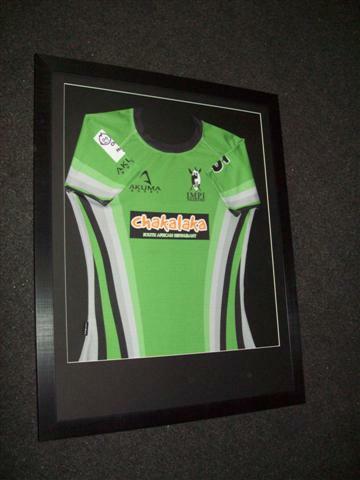 Click here to see how we frame shirts and the non damaging fully reversible techniques we use. 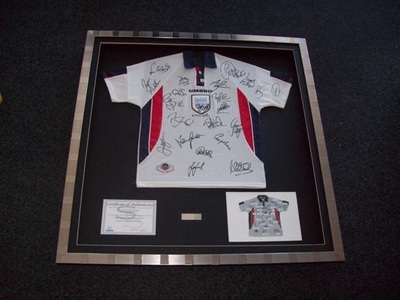 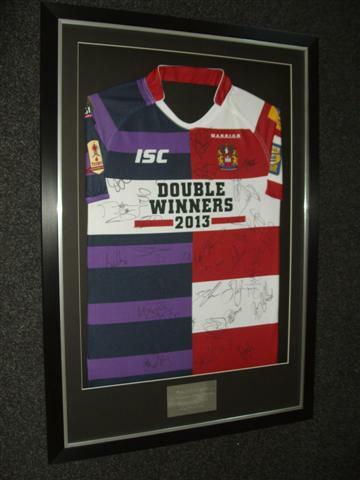 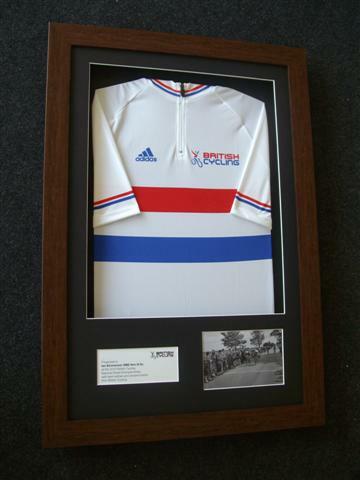 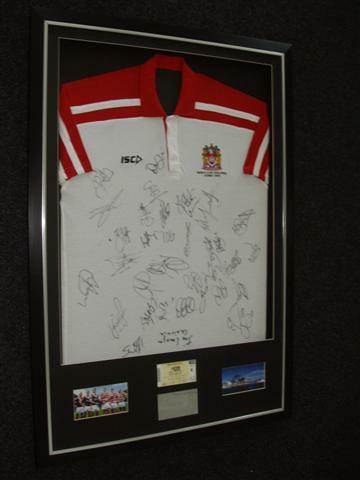 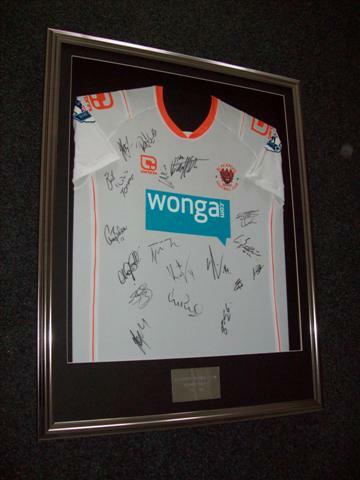 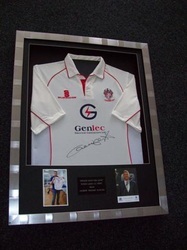 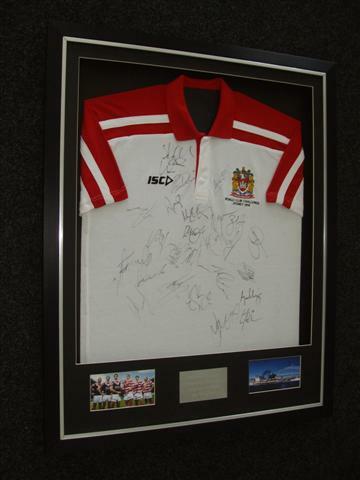 However check out our great reduced price shirt framing offers currently available, which we have listed right here on this single page. 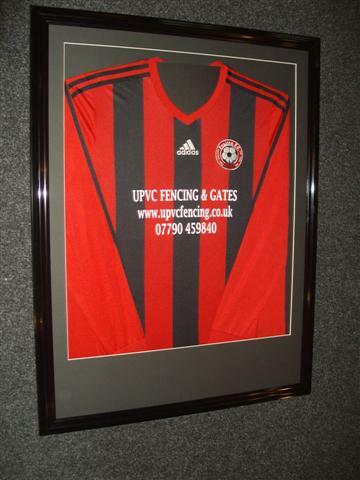 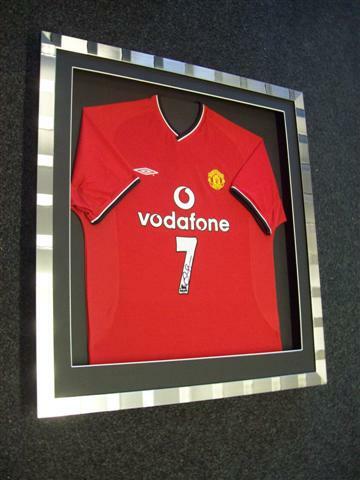 Have your shirt framed similar to the framed shirt shown on its own with no additions in a deep rebate black frame with your choice of front and rear mount colours. 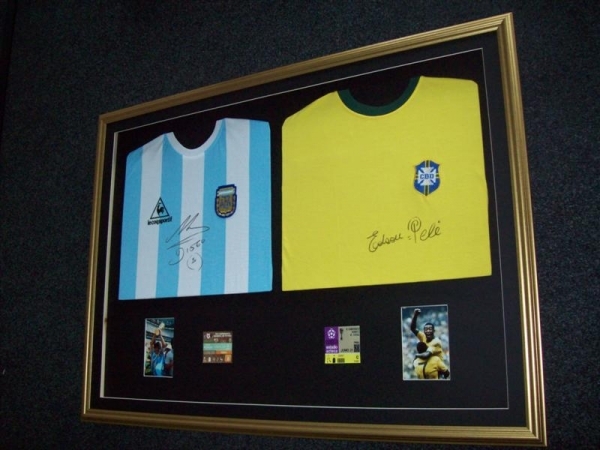 Have your shirt framed similar to the framed shirt shown on its own with no additions in a frame of your choice with your choice of front and rear mount colours. 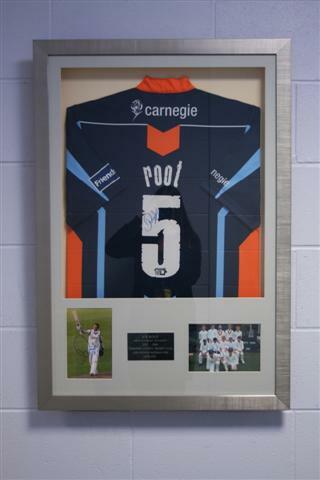 Our 'Full Monty' Shirt Framing Offer...! 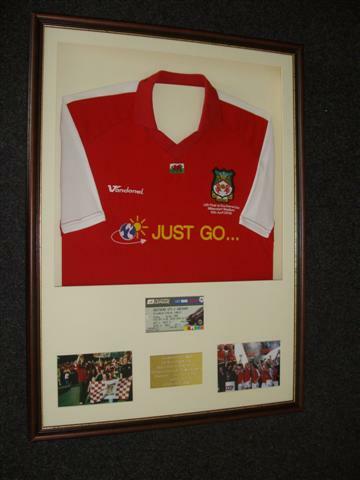 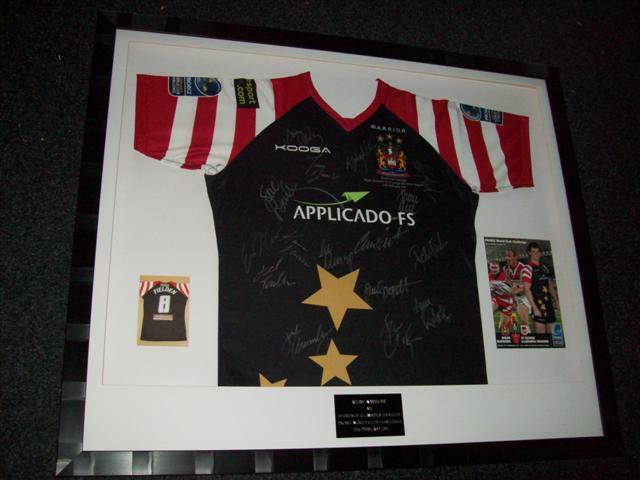 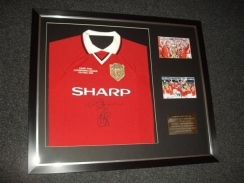 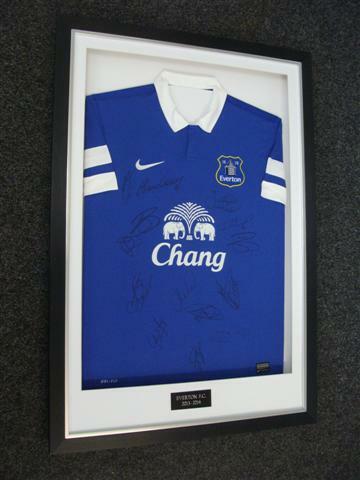 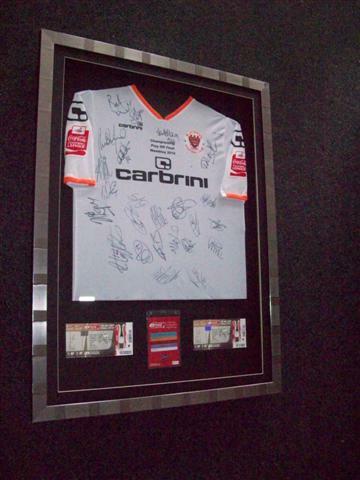 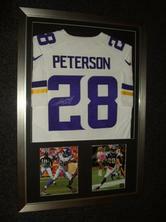 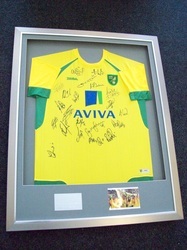 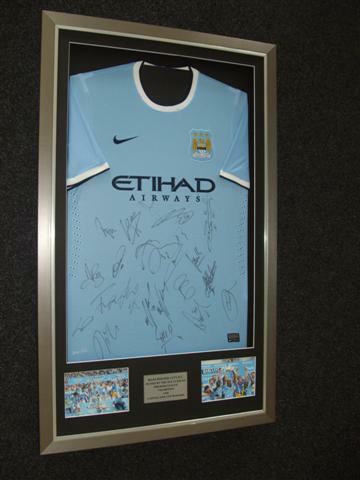 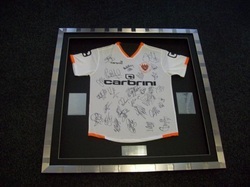 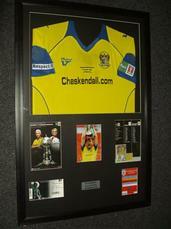 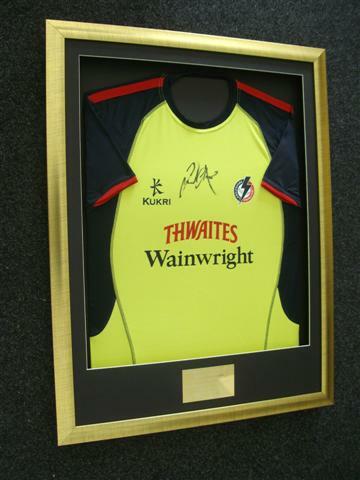 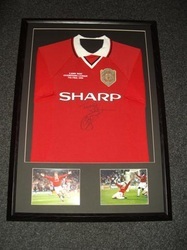 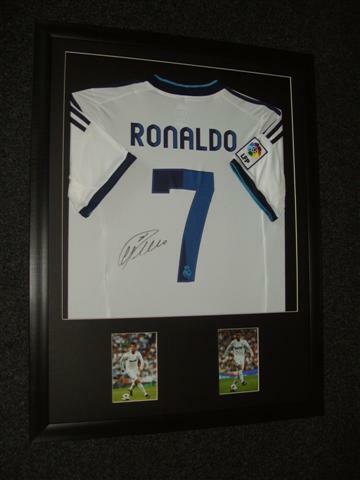 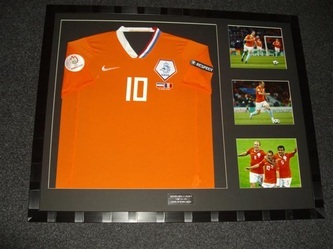 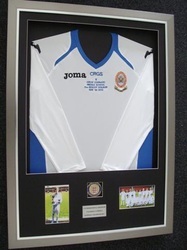 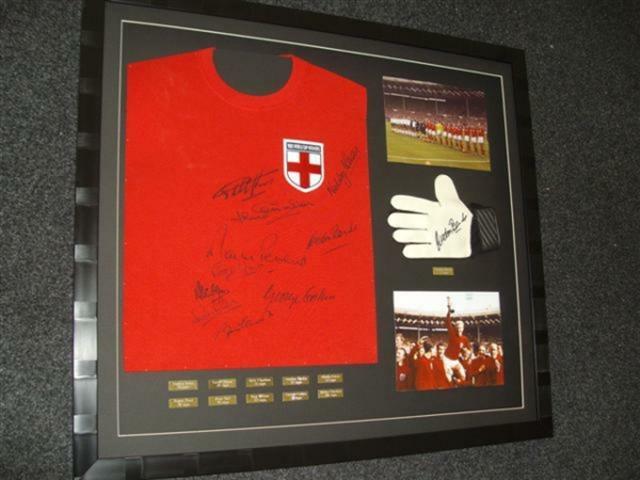 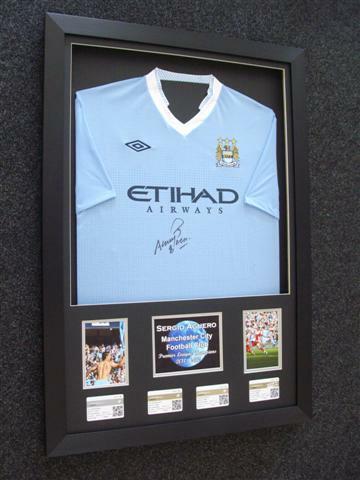 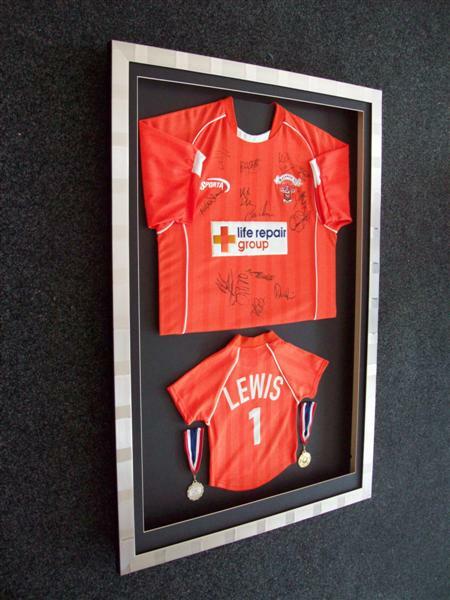 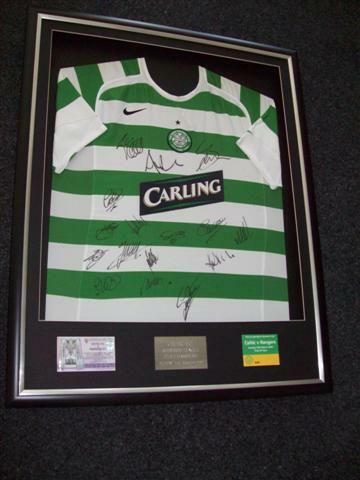 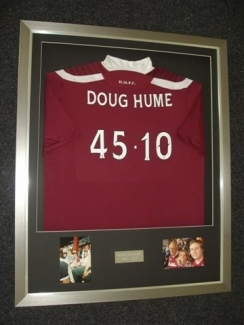 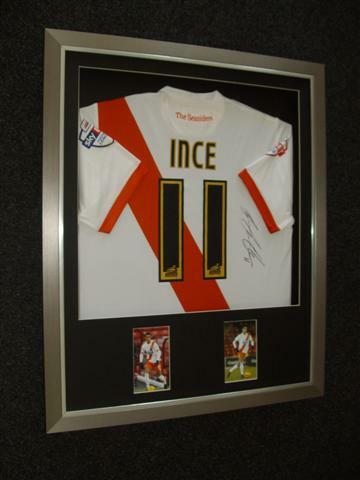 For this you can have any size sports shirt professionally framed in a frame of your choosing along with 2 mounts (one to front and one to rear) and include up to 4 of your reasonably sized additions such as any match tickets, COA, team or player photo you may have that you would like to be included in the frame. 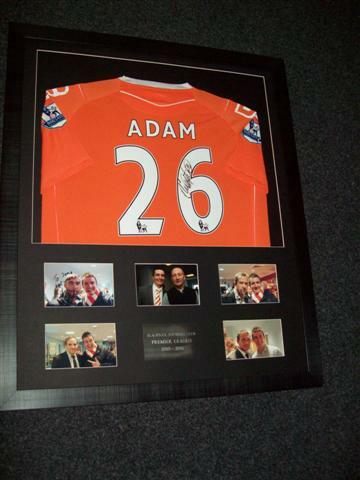 You may also include an engraved plaque which we shall supply and include with your framed shirt. 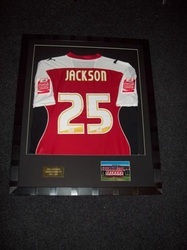 Simply let us know the wording for any plaques you wish to include.